ALBERTA, CANADA – Alberta, Canada is not the first thing a person usually things of when dreaming about a golf vacations of a lifetime. But it should be, with lush green fairways cound in the shadows of looming Rocky Mountain peaks, greens edged with glacier-fed lakes and sky-high evergreens. 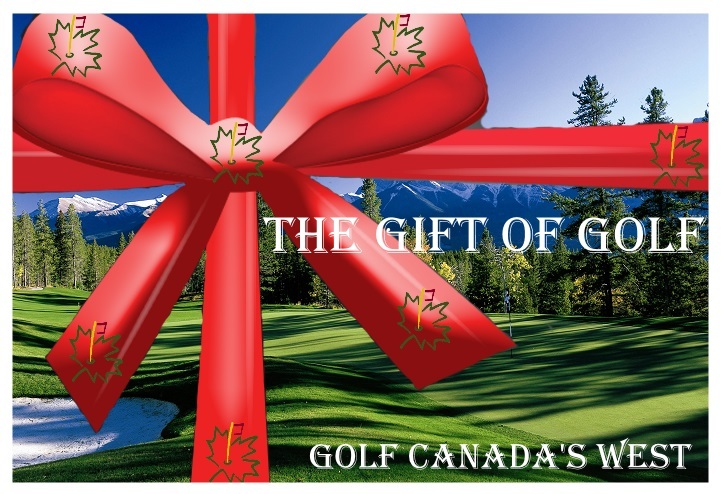 Whether you book a few golf packages or are on a business trip to this booming oil capital, a bag of golf clubs is a necessity in Alberta, Canada with more than 275 golf courses in the midst of Canada’s natural beauty. A popular golf vacation route for first-time visitors to Alberta, Canada is to start in Calgary and follow a route known as the Alberta Rocky Mountain Circle Tour. Stop at some of Canada’s top-rated courses along the route. The golf courses along this route wind through the Canadian Rockies with visits to Banff and Jasper before finishing a circular return to Calgary through Edmonton and Red Deer. Calgary, which was the site of the 1988 Winter Olympics held in Canada, possesses a bustling metropolis of skyscrapers, corporate head offices, shopping malls and popular hotels such as the Fairmont Palliser, the Delta Bow Valley and the Delta Airport Hotel. The first tee-off on your golf vacation along the Circle Tour is at The Links of Glen Eagles, about a 10-minute drive west of Calgary, Canada. Amazing views of the Bow River Valley and the Canadian Rockies beyond are integrated into the design of a course Golf Digest magazine named one of Canada’s three best new layouts of 1999. Also voted one of Canada’s top new courses by Golf Digest is SilverTip, located in the mountains over the town of Canmore before Banff. The popular golf course that opened to eager golfers in 1999, SilverTip has a cool collection of holes, almost every one with views of the surrounding peaks. For what it’s worth, SilverTip was named after a rare specie of grizzly bear found in Alberta, Canada. A short drive past stunning Rocky Mountain peaks brings a golf traveler in Canada through the gates of Banff National Park to the resort town of Banff. Massive mountains bookend Banff’s lively downtown to the north and south, while surging through the town’s heart is the Bow River. Banff is famous as the home of the impressive Banff Springs Golf Course. An essential stop for every golfer on a golf vacation to Alberta, Canada, the beautiful valley design is owed to Stanley Thompson, Canada’s most coveted golf architect. Opened by the Prince of Wales in 1929, the 27-hole Banff Springs Golf Course features one of the most photographed holes in all of golf, the par-three Devil’s Cauldron, which Thompson placed alongside an unbelievably perfect and stunning glacial lake. Departing Banff Springs, the Circle Tour winds throughout Alberta, Canada toward the Icefields Parkway on a 287-kilometer road that cuts through the heart of the Canadian Rockies, past ancient glaciers and numerous snow-capped mountains, through deep river valleys and eventually into Jasper National Park, adjoining Banff National Park to the north. Stanley Thompson first became a common name at Jasper Park Golf Course. The popular course, which opened in 1926, possesses stunningly beautiful layout flows with the natural contours of the land. Adding to the setting is the Fairmont Jasper Park Lodge, a down-to-earth but luxurious retreat that provides lodgings in 446 chalets, cabins and cottages, all a short stroll from the restaurants, lounges and shopping arcade found in the central lodge. Perhaps the greatest pleasure of golfing in this national parkland is the rare opportunity to play so close to the natural beauty of Alberta’s wildlife scene. Few courses in the world rival the Banff Springs and Jasper Park for animal life with bears, elk, bighorn sheep, mountain goats, wolves, coyotes and eagles are frequently making appearance at both courses. The 362-kilometer journey eastward from Jasper to Edmonton, Alberta’s capital city, is a memorable ride. About a half-hour west of Edmonton is Cougar Creek, a course nestled in a forest of spruce, birch, poplar and aspen. Cougar Creek presents a championship test in every sense, with water hazards and bunkers waiting to consume errant shots of golfers at nearly every hole. Closer to Edmonton is the Ranch Golf and Country Club, the site of four Canadian Tour events. The Ranch Golf and Country Club front nine is links-style in design, while the closing holes are more traditional. Near the west end of Edmonton is Blackhawk Golf Club. Blackhawk Golf Club is situated on the banks of the North Saskatchewan River, and features perfect river views and steep elevation changes. Not far from Blackhawk is downtown Edmonton, Alberta’s capital city. According to Sparks, Edmonton is famous for its natural beauty, friendliness and West Edmonton Mall, the world’s largest shopping and entertainment center, with more than 800 stores and services, as well as a five-acre indoor water park, a casino and an amusement park. Popular Edmonton hotels are the Fairmont Hotel Macdonald and the Delta Edmonton Centre Suite Hotel. The final leg of the Circle Tour features a last tee-off in Edmonton before continuing south to Red Deer on the return to Calgary. Located within Edmonton’s southern limits is the new Jagare Ridge Golf Club. Winding through Whitemud Creek Valley, Jagare Ridge offers a great selection of risk-reward holes in landscape ranging from wetlands to old-growth forest. Particularly nasty is the well-bunkered 480-yard par four 16th hole that plays a little uphill. Red Deer, an energetic city of 60,000, is located 149 kilometers south of Edmonton, midway to Calgary. Twenty minutes north of Red Deer is Wolf Creek Golf Resort, a 27-hole links-style layout that ranks tops among Canada’s best facilities. Enormous waste bunkers, dunes and unmaintained rough make this a worthy test for low-handicappers. From 1990 to 1999, Wolf Creek was host to the Canadian Tour’s Alberta Open. In addition to Wolf Creek, the Red Deer area offers several more golf courses to lure golfers reluctant to end a road trip in Alberta and make the return to Calgary. There is Alberta Springs with its stunning log clubhouse, Lacombe’s tree-lined fairways and lightning greens, Pheasantback’s links-style layout, Pine Hills’ forested setting, Ponoka’s challenging links, and River Bend’s difficult greens. Every stop on Alberta, Canada’s fantastic and impressive Rocky Mountain Circle Tour will delight on your golf vacation. The scenery of the Canadian Rockies is simply stunning and the golf is some of the best in the world.